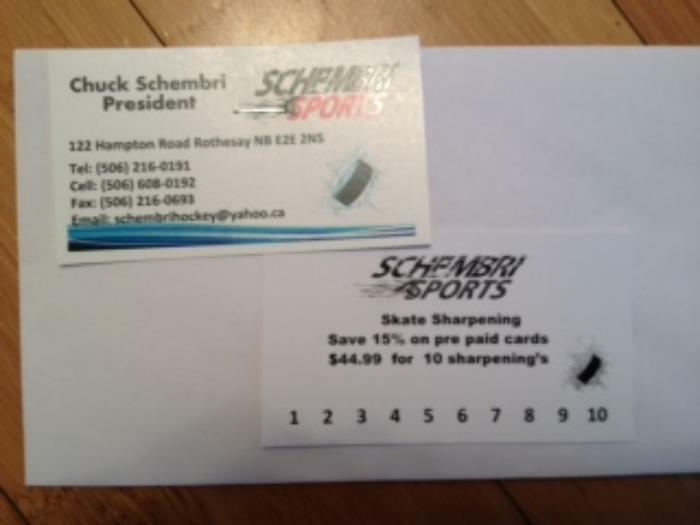 Schembri Sports has donated 10 skate sharpenings. Value of $50. Plenty of sharpenings left to go this season. Use on your own skates or give as a gift to someone you know that spends a lot of time on their skates! Hockey players, figure skaters and coaches, this one is for you.